You go through your life collecting stuff, then one day, look around and wonder — am I a hoarder? The good news is if you’re asking the question you probably don’t have the problem. 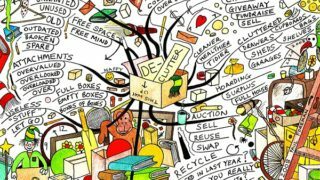 If you’re concerned, here are some ways to tell the difference between collecting and hoarding. 1. Collectors discriminate. Hoarders don’t. Collectors and hoarders both may find it difficult to resist making additional purchases. But while collectors bring only certain kinds of things home, hoarders take anything and everything. 2. Collectors value specific items. Hoarders value everything. A collector will say that some objects are more important or valuable than others. To a hoarder, every object is good for something. Everything is important, even if it’s useless or broken. 3. Collectors display with pride. Hoarders hide their things in shame. Collectors are delighted to show off and talk about what they have. Their collection is a source of pride. Hoarders are ashamed and embarrassed to let anyone see all their stuff. Their collection is a source of shame. 4. Collectors give their stuff space. Hoarders let their stuff fill up the entire house. When the floor is no longer visible, and the furniture is buried under stuff, that’s clearly hoarding. But small indiscriminate piles throughout the house as in the picture above are classified as hoarding, too. 4. Collectors can let go, even if it’s hard. Hoarders can’t. A collector, even one who is very attached to his/her stuff, will reach a point when they realize it’s time to start paring down. To them, clearing the clutter feels good, even if it’s hard. For a hoarder, letting go of anything increases anxiety. The more they’re encouraged to let go, the more they want to hold on. You don’t have to be a hoarder to feel that your stuff is taking over your life. If you’re ready to downsize and you’d like help we can help you! As Senior Move Managers, we’re experts in helping long-time collectors declutter in an efficient and compassionate way. 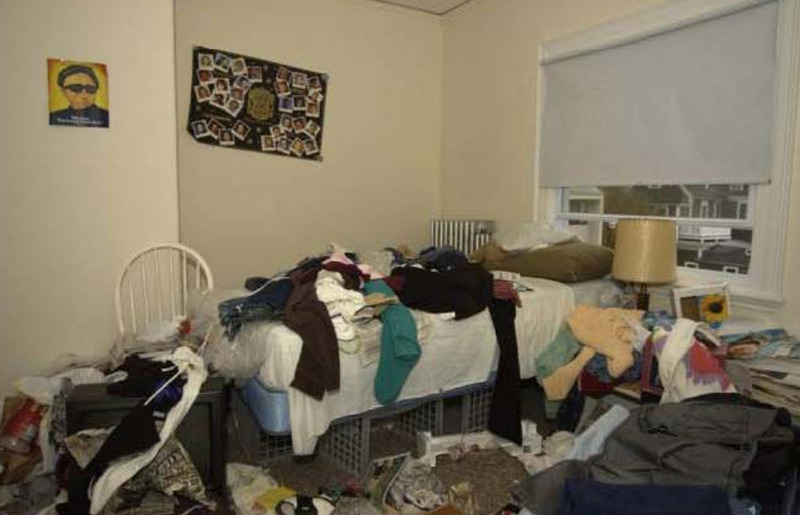 If you or someone you care about has a hoarding problem you can find help at https://hoarding.iocdf.org where you can a wide variety of professionals and resources to help you.